Caterpillar 336F – RKB20594 – is no ordinary hydraulic excavator. The 336F is the latest addition to the Michels Corp. equipment roster and marks the 10,000th excavator to roll off the assembly line at the manufacturer’s Hydraulic Excavator facility in Victoria, Texas. 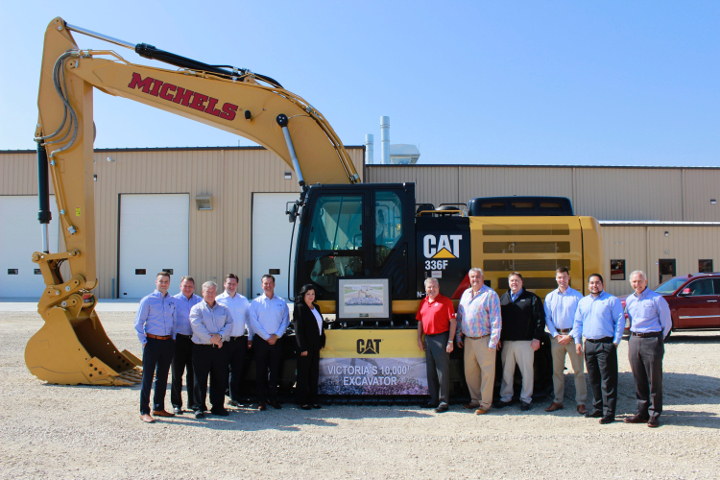 Officials from Michels, including Kevin and Pat Michels and Terry Gassner, were on hand to receive the 336F excavator on May 16. Also, at the ceremony were Tyler Sternat (Fabick Cat), Kent Podobinski (Caterpillar), Chuck Riggert (Caterpillar), Art Strother (Victoria facility manager), Doug Fabick (Fabick Cat), Mary Morris (Victoria O&D Planning), Adam Helleberg (PLM), Roger Montalvan (Victoria supply chain manager) and Craig McArton (Fabick Cat). Michels is an industry-leading utility contractor to include pipeline construction and will be taking this 336F hydraulic excavator to work on multiple projects. 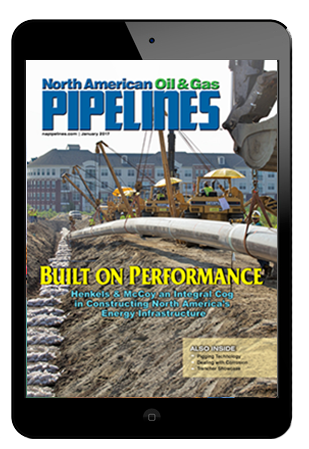 Optimistic about the pipeline industry outlook, Michels appreciated the enthusiasm and recognition received from Caterpillar, Fabick Cat and PipeLine Machinery International. The Caterpillar Hydraulic Excavator Facility in Victoria, Texas, opened in 2012 and recognized this occasion as an important milestone. This 336F is the 10,000th machine to come out of this facility that builds the 336, 349 and 352 models. The request for these machines continues to grow and this excavator facility and its team members are committed to meeting industry demand.